Since the 1960s, theologians have been involved in efforts to guide Christians to reflection and action in light of planetary peril. The contributors to this volume illustrate how Friedrich Schleiermacher’s theological work could fulfill that need. Schleiermacher’s theology, they contend, finds its culmination in Christian social action and is remarkably conducive to ecological thinking in the modern world. Each chapter deals with a particular locus in Schleiermacher’s systematic theology, focusing on its implications for sustainable living. 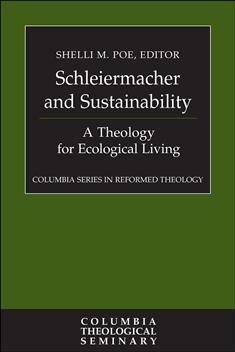 In so doing, Schleiermacher and Sustainability offers a sophisticated account of Schleiermacher’s thought that will upend many estimations of his value for current constructive theology and provide a potent resource for those seeking to integrate ecological living into the marrow of their daily existence.